The Doomsday clock is now set at 2 and a half minutes from midnight and you’re starting to worry about the safest places on Earth from nuclear fallout? Well, fear no more as we put together this list, just start looking to buy plane tickets and land where we tell you to do so. First, let me begin with a warning: if a nuclear war starts, there is only a thin chance that you will survive it. And there is an even thinner chance that you survive in the long run because experts predict that an all-out nuclear war will be followed by a nuclear winter. But if you manage to survive the explosion and can run away, then check the places of the list, some are even quite idyllic…And on top of having beautiful scenery, those places are usually full of resources that will help you live off the grid in case of an apocalypse. Just so you know, the northern hemisphere of our little planet Earth will be the most directly affected by a nuclear fallout: France, the USA, China, Pakistan, India, Russia, United Kingdom all possess nuclear weapons. My advice is that you head towards the southern hemisphere as fast as you can. This is also where you’ll find the safest countries from nuclear fallout. 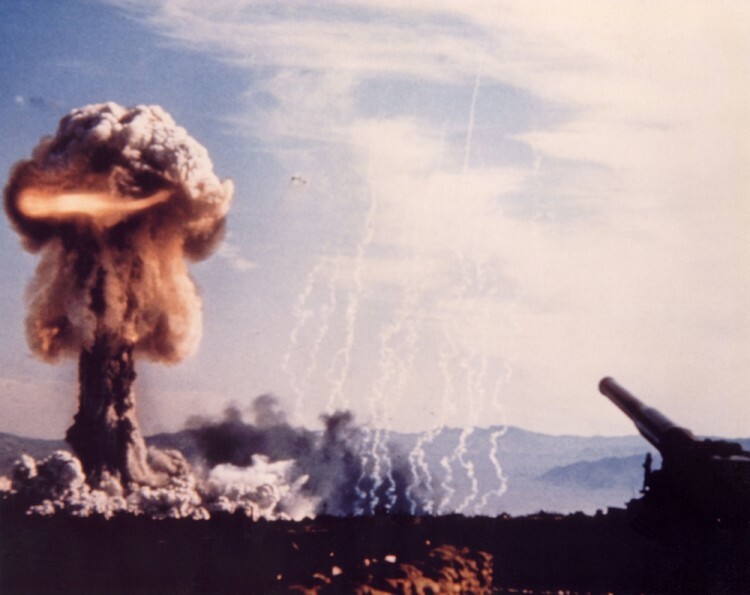 The explosion is not the only thing that will kill in a nuclear war, the fallout is as dangerous and their long-term effects are linked to serious illnesses (like cancers) and severe birth defects. So, by going south as fast as you can, you give yourself a chance to get as far away from the fallout as possible and when it reaches your place of hiding, it will be less dangerous as most of it would have already dispersed in the atmosphere. If you’re scared that natural disasters will strike way before a nuclear war and want to know where to go to avoid it, check our 10 Best Places to Live to Avoid Natural Disasters. This list of safest places on Earth from nuclear fallout is as unscientific as it gets. We mused on various forums and some websites trying to answer this question and looked, on a map, at the farthest countries on the planet from a probable nuclear war. So we decided to class the locations by how idyllic and resourceful they probably are. But it still can give you an idea where doom will fall first. Without further ado, we present our list of the safest places on Earth from nuclear fallout!